Dove & Olive provides an unparalleled pub experience. Our exceptional range of beer on tap, as well as our delicious menu, makes us the ‘go to’ destination for a great night out. With 25+dedicated taps and traditional hand pumps, we are the leading craft beer venue in Surry Hills. If our craft beer choice is simply to overwhelming, why not go for the $10 paddle, volume wise its just shy of a schooner and at $10 its great value. You can even tell the bar staff what you’d like and they’ll give you a selection to match your taste. Or why not be bold and use the paddle to stretch your taste buds and try something you would not normally venture a whole schooner on. What about a “sour” or maybe a “stout”? Remember Craft now pushes beer flavours to beyond the traditional, maybe its time to push yourself too! 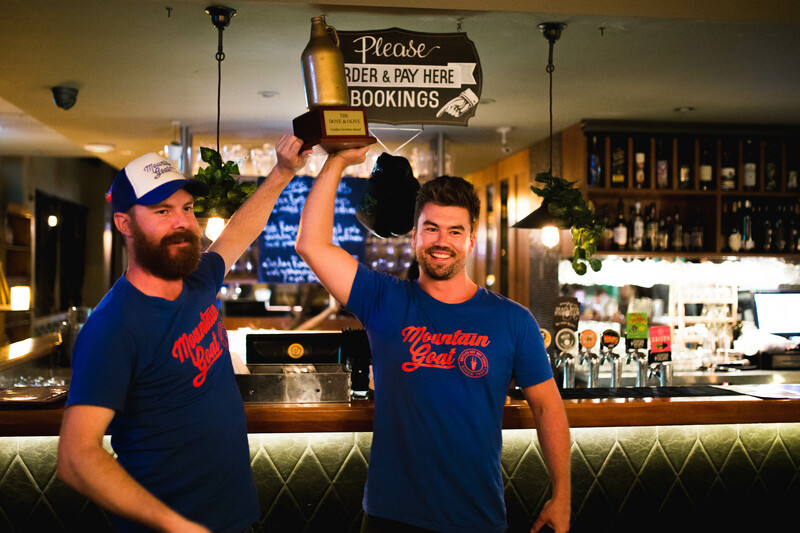 The Dove & Olive is home to Sydney’s original Craft Beer Fight Club. Brewers present their finest beers with the winner decided by public vote. The winner takes it all; a permanent tap as Beer of the Month, The Golden Growler Award and more importantly, bragging rights. Along the way there are awesome giveaways, a bawdy beer label design competition and a whole lot of beery banter. 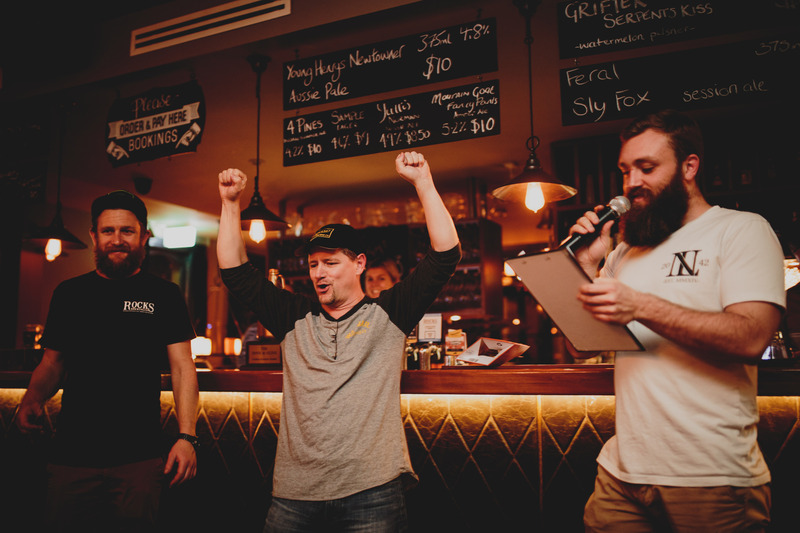 Since the first showdown in March 2013 with Stone & Wood vs Murray’s Craft Beer Fight Club has grown to become Sydney’s ultimate craft beer event. ​In 2018 there will be 4 rounds, culminating in a Grand Finale to be held during Sydney Craft Beer Week. The Grand Final will feature the 4 winning brewers of their respective rounds giving you the chance to sample the best brews of the year and cast your vote for the nation’s best brewer. The Dove & Olive is more than just a traditional pub. We offer excellent function facilities, with a range of indoor and outdoor spaces to suit all events. Our menu takes classic pub favourites and adds a touch of the US nostalgia to create a unique dining experience. Our craft beer team have a long history of building great relationships with local and interstate brewers, meaning you’ll see an ever changing range of the best Australia has to offer on our taps.